The vast majority of Felicia's experience has been in Family Law, mostly dealing with issues of divorce, custody, care & control of children, maintenance and division of matrimonial assets. She believes that to resolve any dispute, it is important to choose your battles wisely and prefers to help save clients time and costs by practising in a less acrimonious manner as far as possible. Felicia is also experienced in a range of Estate Matters, including drafting of Wills and Lasting Power of Attorney, as well as applications for Grant of Probate and Letters of Administration. Lastly, Felicia has also been involved in Civil and Commercial Dispute Resolution matters. She has, inter alia, assisted in representing clients in contractual disputes, employment matters as well as tortious claims. 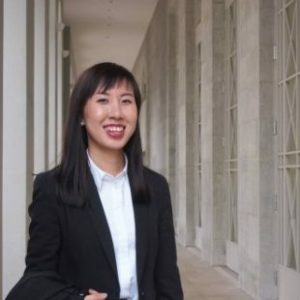 In recent months, Felicia has also assisted in an increasing number of civil and criminal cases involving migrant workers in Singapore on a Pro Bono basis.